If you are one of the owners of Google Play edition of Samsung Galaxy S4 then ou are a lucky man. Just a day after HTC One and LG G Pad 8.3 Android 4.4.2 KitKat roll out, Google don’t hesitate to release the same OS for you. The latest Android KitKat build brings a number of mostly under the hood improvements to the Samsung Galaxy S4 GT-I9505G. The most notable one is a fix for a critical Android KitKat SMS hack. 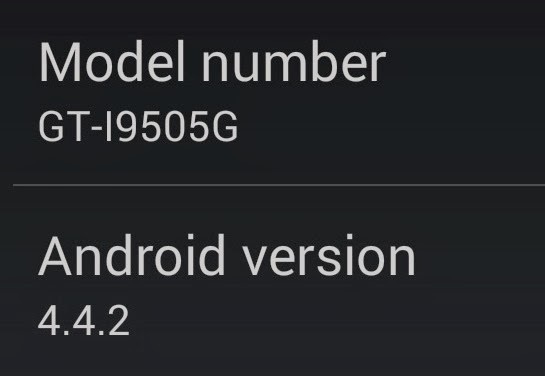 The 57.5MB update is available over the air which firmware version is I9505GUEUCML4. Samsung Galaxy S4 Google Play Edition owners who haven’t received a prompt for the update yet should check for it manually by going in the device’s settings.